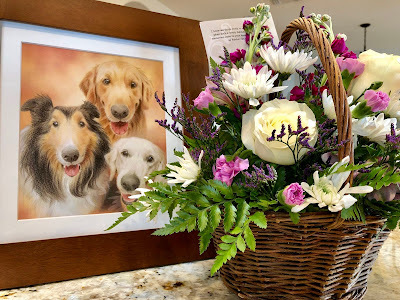 Last week, one of our friends who lives in Hawaii sent the beautiful flowers to Kahlua and us. Kahlua, are you here with us? Flowers are so pretty, aren't they? For our family who appreciates our friends supporting us, please click the puppy photo on the right above or a dog picture below to vote for a doggie blog ranking. Thank you!